To say Fred Mouawad is a serial entrepreneur is an understatement. Gems and jewelry. Pizza and coffee. Publishing. And, an online task management platform. One would struggle to imagine a more diverse collection of businesses. But, to Mouawad, a member of Young Presidents’ Organization in Thailand, it is simply his business: Synergia One Group of Companies. The Internet and technology industry is his favorite, with Taskworld being the brand where he currently focuses much of his attention. Mouawad’s start began with a diamond in the rough. Well, a sapphire to be more precise. In 1988, his father, based in Switzerland, set up a jewelry factory in Thailand as an expansion of the company. After attending Pepperdine University and earning a gemology degree from the Gemological Institute of America, Mouawad’s first assignment in the family business was to run that factory in Thailand. The newest brand in the Synergia One portfolio, tech start-up Taskworld, was born out of an internal need to communicate better across the business. 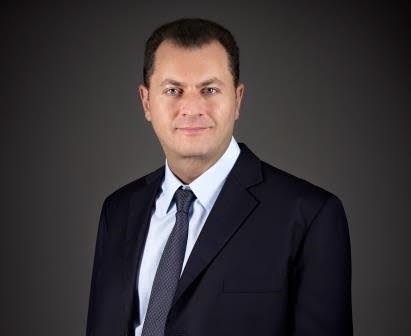 Upon reflection, Mouawad admits one of the biggest challenges he has faced in business is one that is ultimately inescapable. The Taskworld task management platform is actually a technological solution to that challenge, to some degree. Mouawad’s companies had a need for better collaboration and found that building their own product was the best method for achieving that goal. Mouawad is also a serial learner, and he credits joining YPO 2010 with rekindling his appetite for learning.